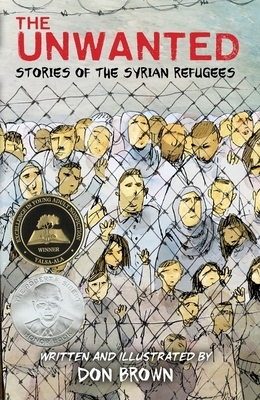 In the tradition of two-time Sibert honor winner Don Brown’s critically acclaimed, full-color nonfiction graphic novels The Great American Dust Bowl and Drowned City, The Unwanted is an important, timely, and eye-opening exploration of the ongoing Syrian refugee crisis, exposing the harsh realities of living in, and trying to escape, a war zone. Don Brown is the award-winning author and illustrator of many picture book biographies. He has been widely praised for his resonant storytelling and his delicate watercolor paintings that evoke the excitement, humor, pain, and joy of lives lived with passion. School Library Journal has called him "a current pacesetter who has put the finishing touches on the standards for storyographies." He lives in New York with his family.